Will Germany Miss Mesut Ozil? With Joachim Low recently reiterating that there will be no Germany return for Mesut Ozil, the footballing world was in mourning at the very real prospect that we will never see the midfielder on the international stage again. Regardless of whether you accept or reject Ozil's comments surrounding the German national team policy, one thing that cannot be disputed is his class on the pitch and the team are sure to miss his creativity in the middle of the park. With that being said, just how much of a blow will Ozil's absence be to Germany and do they have any ready made replacements for the Arsenal star? Was Ozil Was Already Finished With The National Team? 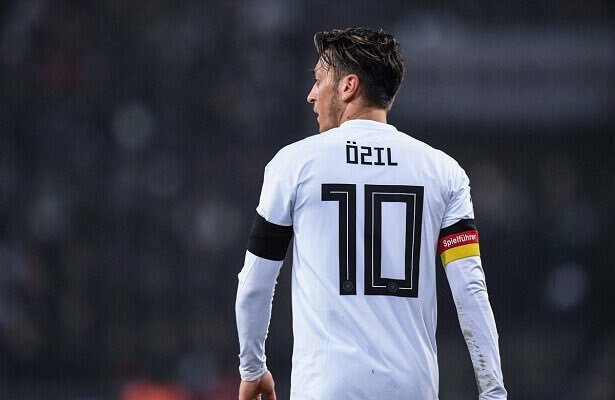 Former Germany captain Lothas Matthaus claims that Ozil's international career was already over whether or not he retired from international football and that he isn't the player or leader he was back when Germany lifted the World Cup in 2014. It's fair to say that the same criticism could be levelled at the entire German squad after their dismal performance in the World Cup 2018 and singling Ozil out seems a bit peculiar when the midfielder has been one of the team's most consistent performers in recent years. Nevertheless, Matthaus went on to say that Germany won't miss Ozil and that the squad is full of players who can fulfil his role as captain and creative spark. Germany are 5/1 with most international footballing betting to bounce back in 2020 and win the European Championships and it would seem that, on paper at least, the bookmakers agree with Matthaus. The most interesting aspect of the Ozil debacle concerns the differing opinions of his teammates when compared to bystanders or neutral observers. Quite predictably, those who were likely to side with the German Federation have, well, sided with the German Football Federation. Whilst Toni Kroos and other big-name players have wholeheartedly rejected the racism claims that Ozil has put forward, they have been sensible and courteous enough to admit that Ozil will be missed by Germany. The fact remains that any squad in the world, domestic or international would miss a player of Ozil's quality - at 29, the midfielder's best years are arguably still ahead of him and to suggest otherwise smacks of arrogance and resentment in many people's eyes. The only way to truly know whether Germany have missed Ozil is to revisit the whole situation in ten years or so time and make a judgement based on hindsight. However, it's possible to look at some of Ozil's potential replacements on paper and discuss whether they could step up to the plate. Players such as Max Meyer, Leon Goretzka and Julian Draxler have long been touted as long-term replacements for Germany's departing midfielders but with Marco Reus recently forcing his way back into the side, he will surely be the number one candidate to do so, providing he can stay fit. As has been previously mentioned, it's difficult to say whether Germany will miss Mesut Ozil. If Germany do indeed go on to be successful in Euro 2020, then the whole debate will be put to bed once and for all but if the national team continues to struggle in the same way that it did in the summer, rest assured, the calls to persuade Ozil to reconsider his retirement will be heard across the footballing world.